Rain or shine, NYC has tons of family fun. Take a (climate-controlled) break from all the fall festivals and fairs and Halloween happenings with some engaging art for all ages. So much to see, touch, smell and hear among multi-sensory experimental works and practical solutions. Wander through a scented snowstorm, create a feather fountain, play a furry instrument in a Tactile Orchestra, scratch n’ sniff wallpaper and more. Also Visit: The Immersion Room, where you can make your own digital wallpaper, and the hands-on Process Lab. Treat Alert: Taste some of the pretty Compartes Chocolate bars on display in the exhibition in the gift shop or bagels and babka french toast at Russ & Daughters in the Jewish Museum across the street. 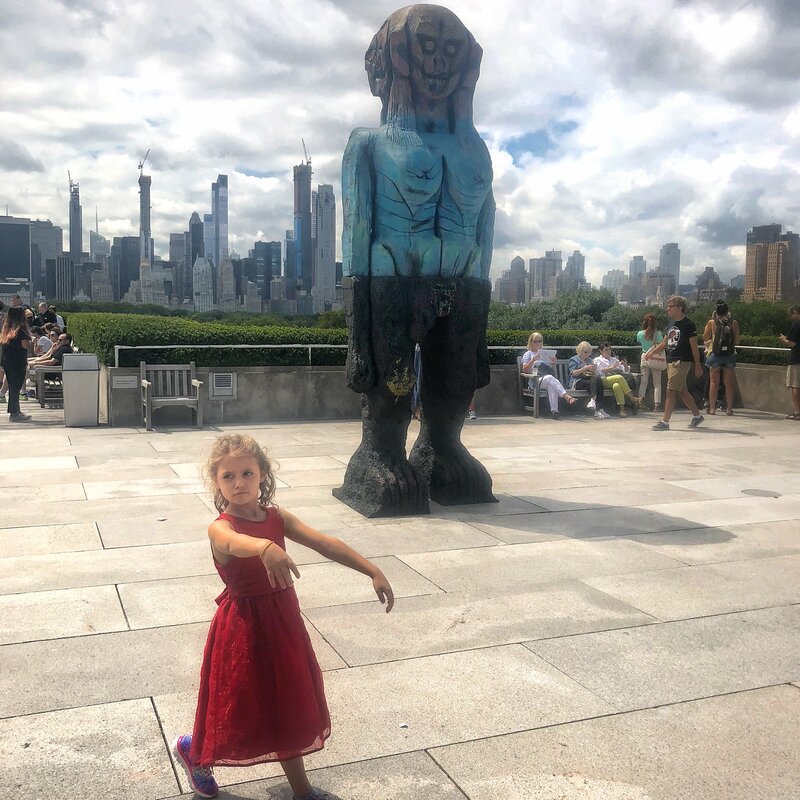 Walk around two haunting monumental sculptures of intriguing figures by Pakistani-born artist Huma Bhabha that my daughter thinks are zombies and my son thinks are aliens. 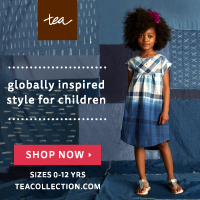 Actually a commentary on colonialism, war and displacement. The view of Central Park is stunning. Also Visit: A future-themed World Culture Festival happening all over the museum on Saturday with break dancing knights. Treat Alert: Housemade lemonade (and grown-up beverages) on the roof and black-and-white cookies from William Greenberg. 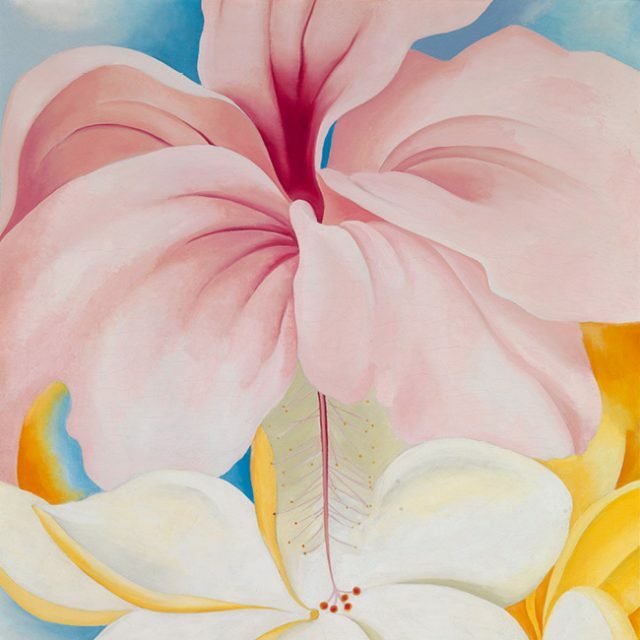 Pretend you’re in Hawai‘i at this exhibit of 17 paintings by American artist Georgia O’Keeffe’s created on commission for a Hawaiian Pineapple Company promotional campaign plus lush Hawaiian flora in the Conservatory. On weekends, see hula and native artisan demonstrations. A lot of the exhibition is indoors in case of rain. Also Visit: Spooky pumpkin scarecrows in the charming children’s garden. This diverse collection of the continued experimentation of artists long after their breakthrough moments includes blockbuster painting, sculptures, video art and more by Louise Bourgeois, Gego, Joan Jonas, Ellsworth Kelly, Georgia O’Keeffe, Frank Stella, and many others. Listen for some familiar voices on the fun kids audio guide – we got to help make it. 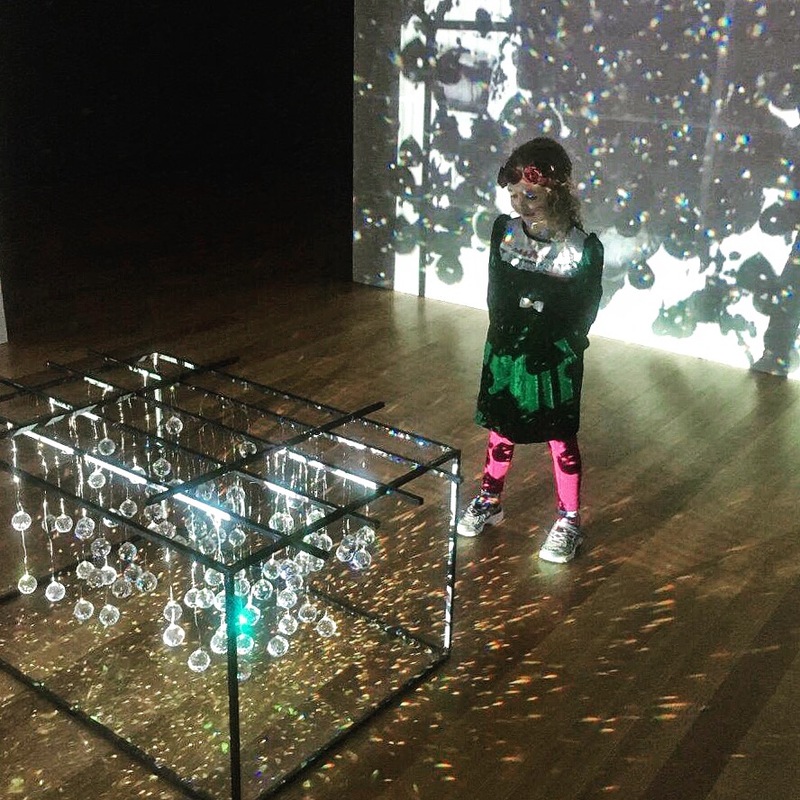 Also Visit: MoMA Art Lab: Nature with creative activities for all ages and the snowman in the sculpture garden. Treat Alert: Aptly-named crack pie, soft serve cereal milk ice cream and killer bagel bombs at Momofuku Milk Bar two blocks north. 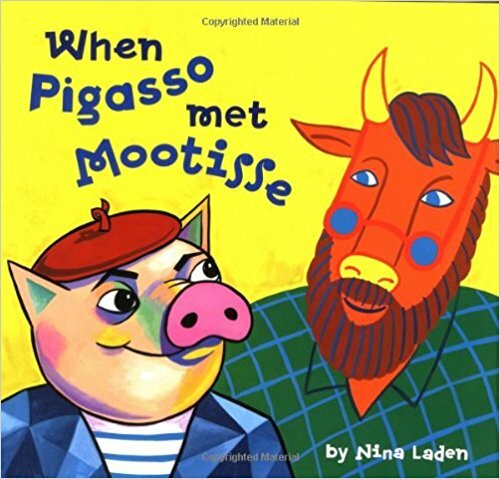 Bold biomorphic and geometric forms, lots of rainbows and a fascinating back-story of an under-recognized female artist. 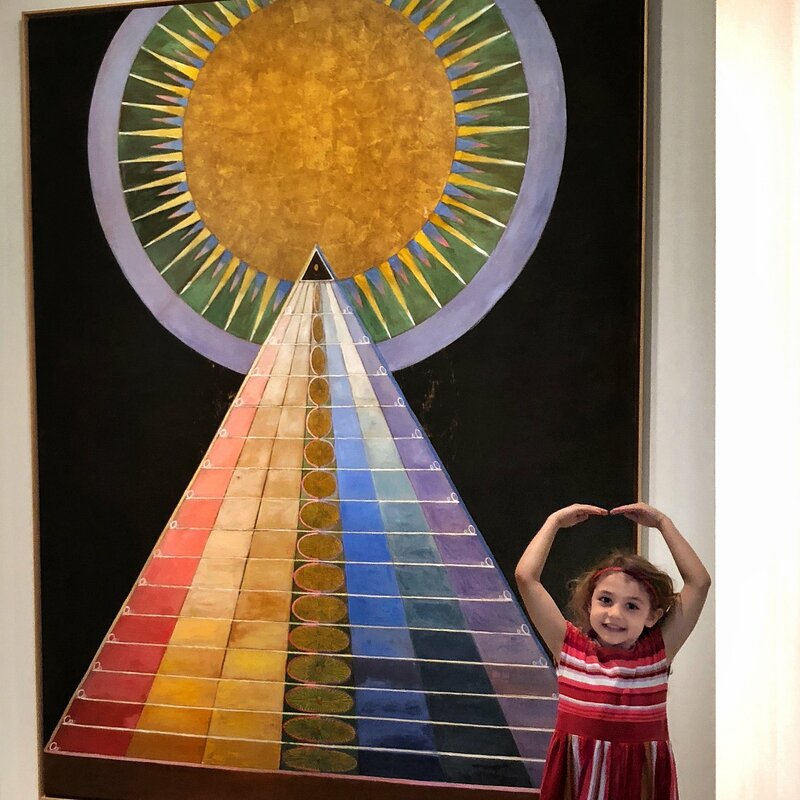 Talk about her ouija board like creative spiritualism, try to guess the ages protrayed in each of the monumental The Ten Largest and pick up an engaging free Family Activity Guide. Also Visit: Try to find animals including a seal, sting ray and bird in the almost abstract Brancusi exhibit. Treat Alert: Pastries, salads and more at Heavenly Rest Stop a few blocks south. 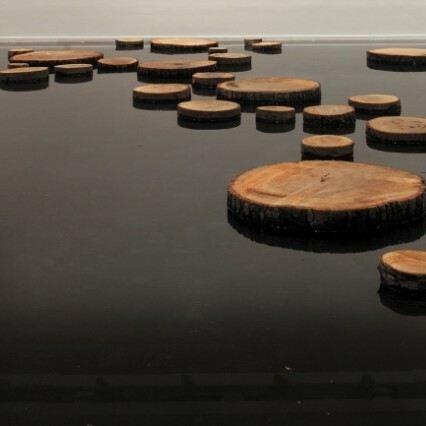 Traverse an immersive lake via a series of tree discs in a multi-artist exhibition challenge existing histories and speculative futures across cultures and in Bengal. Explore neon art, painting, film, sculpture and photography by three contemporary artists–Shezad Dawood, the Otolith Group, and Matti Braun. Also Visit: Pick up a free Yak Pack Family Activity Bag at the admission desk that encourages kids to explore, create and discover in the galleries. Treat Alert: Half pound or frosted/sprinkled cookies at nearby Citycakes Bakery. 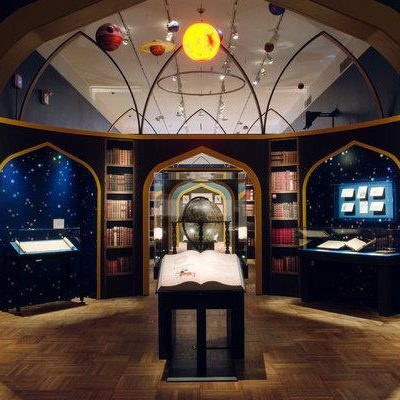 See century-old treasures including rare books and magical objects that capture the folklore and magic of the Harry Potter stories plus original drafts and drawings by J.K. Rowling and illustrator Jim Kay. Explore the subjects studied at Hogwarts, from medieval descriptions of dragons and griffins to the origins of the sorcerer’s stone. Purchase timed tickets in advance – they’re selling out quickly. 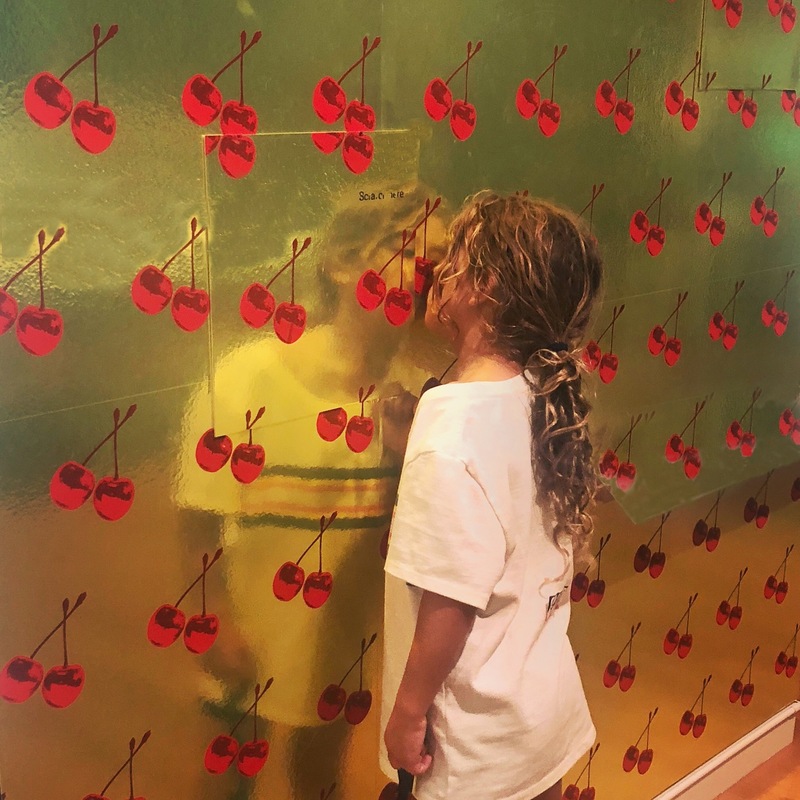 Also Visit: The 100% hands-on Children’s History Museum and an NYC-centric library in the basement and a digital, customizable Tiffany lamp on the gorgeous fourth floor. Treat Alert: Antipasti, artisanal pastas and paninis at Caffe Storico, the museum’s classy but kid-friendly eatery or burgers and frozen custard at Shake Shack down the block.